Where Does The Terrorism Buck Stop? GROUND ZERO PLUS 1218 DAYS,--New York, NY, Monday, January 12, 2005--The Terrorism Buck doesn't stop at the top. The bottom of the quagmire is its most comfortable home. 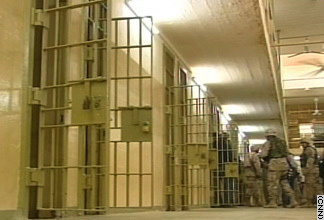 American military police are on trial for torturing prisoners in Iraq's infamous jail Saddam Hussein used to humiliate, tyrannize and oppress his 25 million people. The world revolted when photos of prisoners wired with what looked like electrical shock paraphernalia and placed in humiliating postures while naked were broadcast around the world. Public relations sucked a sour breath that day, for the idea that America was "better than" the enemy was crushed by the actions of a few guards who, ill-trained in the rules of modern war, never thought for a moment private actions become public withthe click of a digital camera battery. Now, those troops are on trial. They are being charged with a litany of crimes, the worst being that they acted on their own, without any encouragement or direction from "above." Their defense, however, is the opposite. 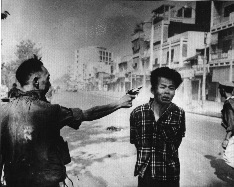 They claim they were given "directly indirect" orders to do what they wanted to the prisoners, "just don't kill them." In other words, the Terrorism Buck stops at their doorstep. A veteran of Vietnam and more than 100 combat operations, I witnessed the horrors of war in many venues, including the brutal, ghastly torture of prisoners. In my own case, they were virtually beaten to near-death then shot in the back of the head to put them out of the final gasp of their misery. Compared with my own personal experiences, the actions taken by American guards in Iraq were kindergarten in comparison to my own measure of what is "torture." However, the grounds for abuse run thin when a nation is seeking to elevate and isolate itself as the "Sentinel of Vigilance" and not become the "Beast of Terror" it battles. I liken what is happening in the trial of the military police to parents looking at themselves in befuddlement as their child is being handcuffed and hauled off by the police for some terrible crime. They look into the other's eyes and say, "But how could this happen. He's a good kid." There is a huge Vigilance Gap between the parent and child in the above situation. Along the way, the parents had a blind eye to the actions of the child, or, simply didn't care. While they might have thought they knew the child, whatever knowledge they held was paper thin. The true child was screaming inside and ultimately revolted outside. So, who is responsible for the child's actions? Some will claim without a blink of an eye it is the parents. There is a saying that claims if you want to know what a child will be like when he or she grows up, follow the child home. It can be assured the parents in the scenario weren't Parents of Vigilance. If they were, they wouldn't have been shocked or surprised that their child's Beast of Terror erupted. 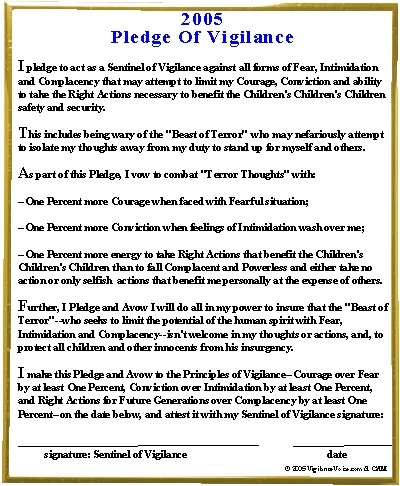 Had they been truly Vigilant parents, they would have corrected those potential flaws in the child's character long ago, either eliminating or reducing the chances of the child letting his or her Beast Character rage. In the trial of the Americans, they are the children of the military. Some "parent" of theirs let them alone in a prison without warning them that their Beast of Terror thrives when the power to abuse others isn't checked. When told that prisoners are "Terrorists" and your own troops are being killed by "their brothers and sisters," there is a great danger that the humanity and civilized nature of that prisoner evaporates quickly. What is left is the sinew of a horrible Beast of Terror, worthy of the worst possible treatment since it is inhuman to begin with. When I first went into combat I felt sick every time we killed the "enemy" and found that the bodies were collateral damage. After many months of combat, the stench of death was perfumed by a dulling of morality. The soul thickens and hardens as bodies pile upon bodies. This is certainly not an excuse for inhumane actions, but it is an explanation. It is also a signal that above the front line where the generals sit, high up in the ozone of leadership, is poised not only the directors and conductors of war, but those most responsible for its conduct. 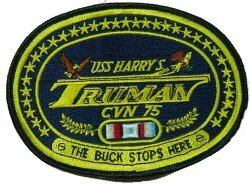 Harry Truman is noted to have popularized "The Buck Stops Here"
Harry Truman is noted to have popularized the political responsibility that "the buck stops here." He elected to drop the atomic bomb on two cities in Japan, killing tens of thousands of civilians. His justification was that such brutality and violence against the innocent would reduce the deaths of countless more than it took that day. One might argue the guards in the Iraqi prisons were following the Harry Truman policy: they were performing torturous acts against the few in hopes of saving the many. But they are sergeants and privates on trial, they are not the President of the United States. Allegedly, no one is above the law in a free democracy. Equally, no one is below the law either. The absence of any charges levied above the guards in the prison is a clear example that the bar of ethical, moral and legal responsibility has been lowered to the dungeons. The upper levels of leadership have ducked and weaved, hoping to heap upon the children the sins of the parents. I regret the Buck of Terrorism has sunk to such a low level. I hope those who shoved it away from them and stomped it down, do so also. Go To January 10 Story: "Victory, Defeat, Retreat, Or Vigilance: A Time To Recall FDR's Four Freedoms"